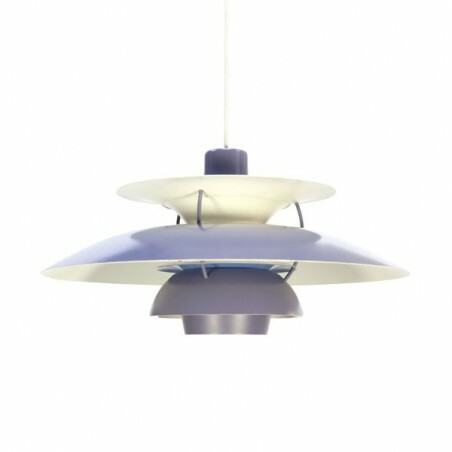 Original vintage PH 5 lamp designed by Poul Henningsen in 1958, Denmark. 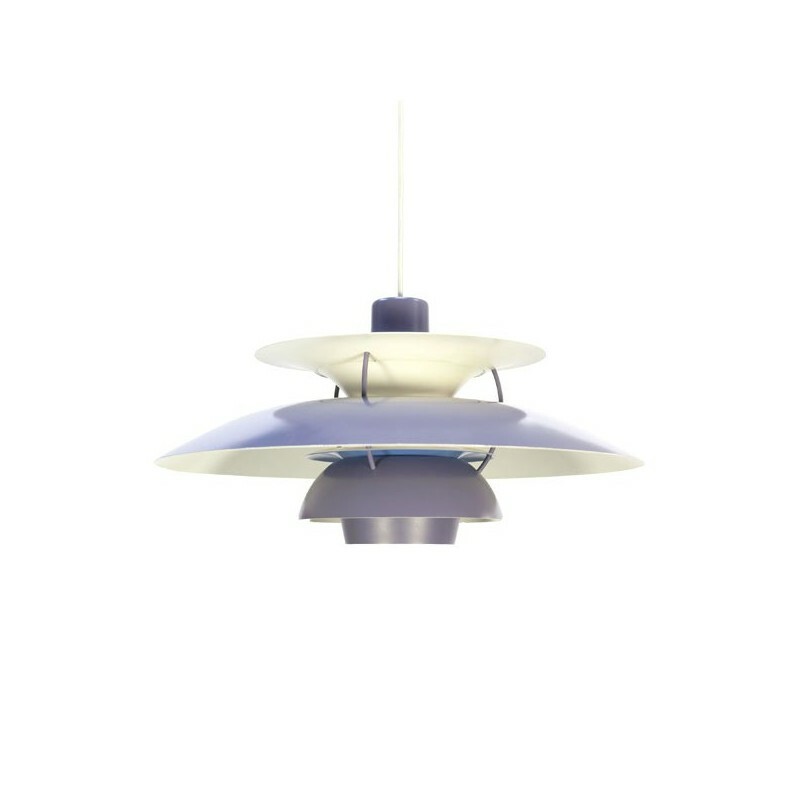 This lamp is an early edition, the colour lilac, the inside is white, blue and orange. The lamp has been designed not to dazzle no matter its position. The condition is good, see detailed pictures. The dimension is 50 cm in diameter and 28,5 cm high.